Our story began with dog trainers wanting to use their passion for service dogs to make a difference in the lives of veterans suffering from PTSD. 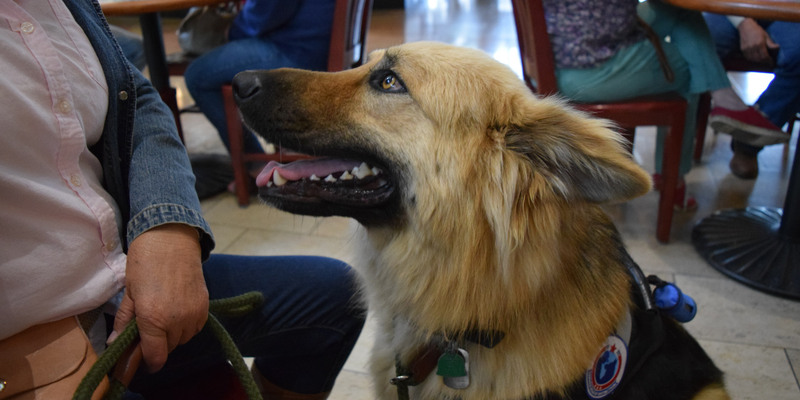 We recognize there are service dog providers producing inadequately trained service dogs and often selling them for enormous sums to veterans and others. Our approach is to understand the need of the veteran, then find and train a dog that can best meet their needs. Following our high standards of evaluation, we procure dogs from shelters and from individuals who are looking to re-home young dogs with an adaptable demeanor and gentle breed-specific traits. We then work with the veteran/dog teams until they are sufficiently trained and able to pass our public access test. We intend to remain a hands on organization that stays focused on the client and their needs. Our service area includes Arkansas, southern Missouri, and eastern Oklahoma.